Auto Accident Attorneys Fort Lauderdale FL | Gonzalez & Cartwright, P.A. The roadways in Fort Lauderdale and the rest of Broward County are frequently congested, and with most everyone hurried (and sometimes distracted) auto accidents are common. If you have been involved in a motor vehicle accident, you know it’s a stressful experience that can leave you shaken and in shock. Worse, it can be difficult to know who to turn to if you feel you deserve compensation for injuries you have sustained, not to mention damage to your vehicle. After you have been injured, you need a Fort Lauderdale auto accidents (motor vehicle accidents) lawyer who you can trust, one who will advocate on your behalf and ensure that you receive full and fair compensation. At Gonzalez & Cartwright, P.A., we methodically explore every potential avenue to win the compensation that is rightfully yours. 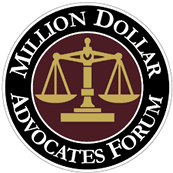 We understand how frustrating and emotionally draining it can be to try to navigate the legal system. That’s why our attentive, compassionate lawyers are there to guide you every step of the way. Not only do we put our 35 combined years of legal experience to work for each and every one of our clients, but you also receive personal attention from the attorney and staffers who are handling your case. In fact, our attorneys provide all of their clients with their personal cell phone numbers—and we actually respond to our clients’ calls. Also, our office is bilingual, and unlike many other South Florida law firms, virtually everyone in our office is fluent in Spanish. Moreover, we have a long tradition of local community service, which further reflects our commitment to supporting the residents of Broward County, Palm Beach County and the rest of South Florida. For example, one of our partners has served on the Board of the Hispanic Education Coalition, the Board of the Florida Justice Association Women’s Caucus, the Board of the Palm Beach County Justice Association, the 15th Judicial Circuit Pro Bono Committee, and the Palm Beach Coalition for Immigrant Rights. She also is a Board member of the Palm Beach County Justice Association. And our commitment to the local community is reflected in the results we have achieved for our clients, who can rest assured we are doing everything possible to fight for their rights and get them the compensation they deserve. If another driver’s negligent or reckless actions contributed to the motor vehicle accident that caused your injuries or property damage, you may be entitled to recover compensation from that negligent or reckless party. In some cases, we obtain compensation when the case has gone to trial, but in many instances, the process comes to a conclusion before trial. We put the weight of our skills and experience to work to negotiate with the insurance companies and the attorneys representing the defendant(s), and we frequently help our clients reach a full and fair settlement without them having to endure an emotionally and physically draining trial. In fact, one of our partners, Charles Cartwright, worked for insurance companies for 15 years before co-founding our law firm in 2010, so he understands the tactics that they use to try to avoid paying full compensation to auto accident victims. While the circumstances surrounding each case are different, we typically obtain compensation for some or all of the following in any given auto accident case. Who or what caused your car accident? Is there a potentially responsible party who was negligent? If you have been injured in an auto accident in South Florida and believe that a third party may be liable, we encourage you to contact our office today to take advantage of a free consultation. At Gonzalez & Cartwright, P.A., we are not just another personal injury law firm. 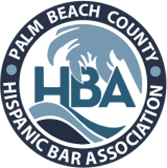 We are a part of the local community—including the Hispanic community—and we strive to defend citizens’ rights in the courtroom, while also protecting the integrity of the community as a whole. For example, attorney Adriana Gonzalez is active in the Hispanic Education Coalition and the Democratic Hispanic Caucus, and also serves the Palm Beach Coalition for Immigrant Rights. Our attorneys and staffers are also bilingual, which enables us to better communicate with many of our clients and their families. So if you or a family member has sustained injuries in a South Florida auto accident, contact our offices via phone call or this online contact form to schedule a free consultation today. During this initial consultation, we will provide our honest and straightforward opinions as to how to best proceed. Our offices are conveniently located in downtown Lake Worth, and we are able to offer appointments in the evening or over the weekends if that’s more convenient for you. We can also travel to visit you at home or in the hospital, as we know some accident victims find themselves unable to travel in the immediate wake of a crash. FAQ: Is there a time limit on when I can file a lawsuit in an auto accident case? Yes. The statute of limitations is four years in a Florida auto accident case, or two years if you are bringing a wrongful death claim because the victim was killed in said motor vehicle accident. However, it’s always advisable to contact a Fort Lauderdale car accident lawyer as soon as possible following an injury accident. For one, an attorney can take steps to preserve crucial evidence that might exist. FAQ: Should I give a recorded statement to the insurance adjuster? No. Another good reason to consult with an experienced attorney as soon as possible is that he or she can speak the insurance adjuster on your behalf. Insurance adjusters typically want to obtain a statement from you about the circumstances surrounding the crash and any injuries you sustained. But it’s in your best interest to speak to an attorney before you talk to an adjuster, so you don’t unwittingly compromise your case.